Our company has acquired in the industry for the manufacturing and supplying of the best quality range of equipments and spares like Connecting Pins. We do not make compromise in terms of quality and so we use high grade raw material for the manufacturing of these equipments. These equipments are available in different grades and dimensions as per the requirement of the clients. These pins are precisely designed to serve different purposes. Offered range of Special Purpose Screws are manufactured from high grade quality raw material. With its extensive application, these ranges of screws find usage in a number of industries such as automotive, chemical, paper & pulp and petrochemical. 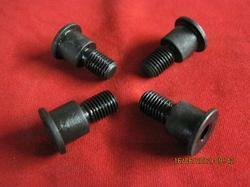 We manufacture these special purpose screws as per costumer requirement we will manufacture special purpose screw. 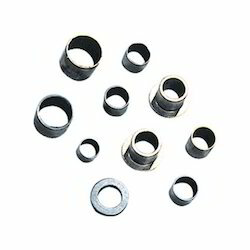 We are one of the most prominent names in the industry for the manufacturing and supplying of the best quality range of spares and equipments like Ferrous Bushing. 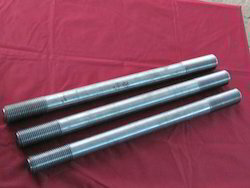 These equipments are best suitable for automotive and heavy duty industries. 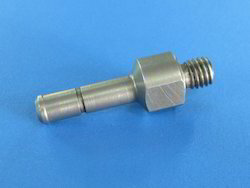 We do not make compromise in terms of quality and so we use high components for the assembling of these equipments and spares. 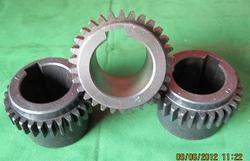 Our clients can avail these spares and equipments in different grades and dimensions. We have emerged as one of the most distinguished names in the industry for the manufacturing and supplying of the best quality range of equipments and spares like Custom Built Products. these products are manufactured in accordance with the industrial standards. We do not make compromise in terms of quality and so we use premium quality of iron and other alloys for the manufacturing of these equipments. Our clients can avail these equipments with customization. We always ensure the client satisfaction by delivering qualitative Clamping Studs to our valuable client at very reasonable price. 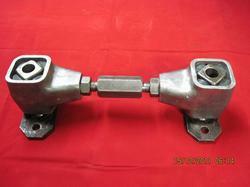 We take into account the international quality standards set by the industry and offer suitable range of clamping stud. Oscillating Mountings manufactured by us are manufactured from high grade quality material. These are easily available at very reasonable price in market. 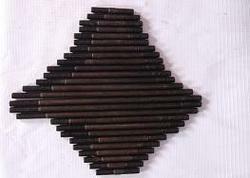 These are available in various specifications in market and are highly in demand among our valuable clients. 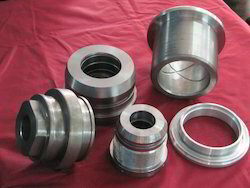 Ganesh Engineering Works is engaged in offering qualitative Transmission Gears, These transmission gears and shafts go through various heat treatment techniques to ensure that these meet all the metallurgical parameters. These are available at very reasonable price in market. We are the prominent manufacturer, supplier and trader of Threaded Bushings, these are available at very reasonable price in market. Our offered range of threaded bushing are easy to install and operate, these are high in performance and offer long lasting services. Industrial Clamping Studs offered by us are manufactured from high grade raw material, these are duly tested by our experts on various quality parameter before dispatch. We always ensue the client satisfaction while delivering our products. 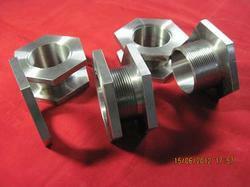 We do not make compromise in terms of quality and so we use high grade components for these equipments and spares. 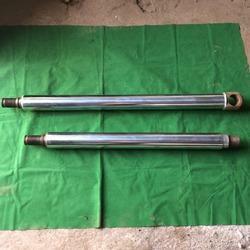 Looking for Hydraulic Cylinder Spare ?